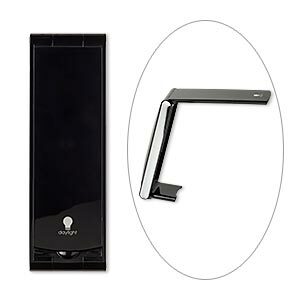 Lamp, Daylight LED Slimline Table Lamp, glass / plastic / chrome-finished stainless steel, black, 35 inches. Sold individually. Item Number: H20-4665TL Have a question about this item? 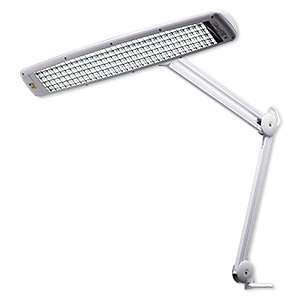 Daylight LED Slimline Table Lamp lights up a work area without hogging the space. 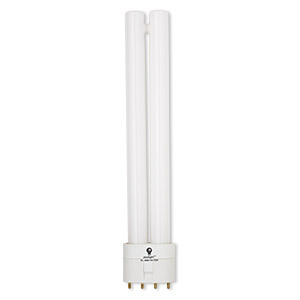 It reduces eye strain and provides great color rendering, yet LED lamps conserve energy. Brushed stainless steel finish makes an attractive addition to any workspace. Lamp, Daylight Foldi, portable, plastic, black and silver, 14-3/4 x 7 x 3 inches open. Sold individually. 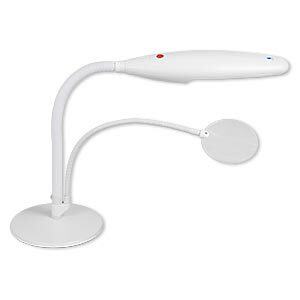 Lamp, Daylight Halo 8D Table Magnifier, plastic / glass / aluminum, multicolored, 13-1/2 x 6 x 6 inches with 3-1/2 inch magnifying lens. Sold individually. 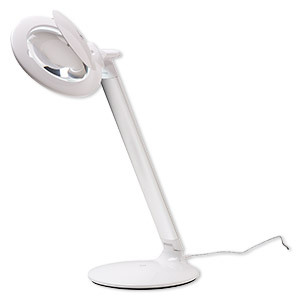 Lamp, Daylight Halo Table Magnifier, plastic / glass / steel, white / clear / black, 13 x 6 x 6 inches with 3-1/2 inch magnifying lens. Sold individually. 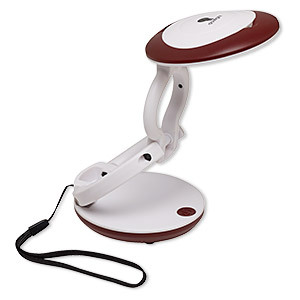 Lamp, Daylight Yoyo Magnifier, portable, plastic / glass / steel, multicolored, 4 to 6-1/2 inches with 2-1/4 inch 3x magnifying lens. Sold individually. 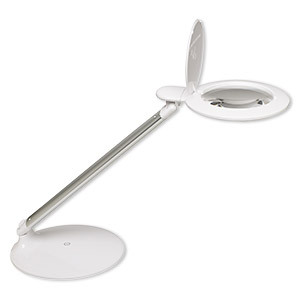 Lamp, plastic / glass / steel, white, 15 x 10 x 7 inches with 4-inch round magnifier. Sold individually. 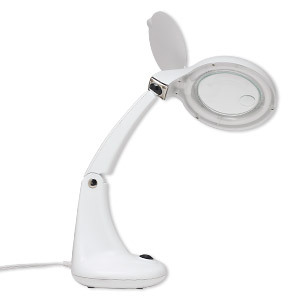 Lamp, Daylight, plastic / glass / steel, white, 24 inches with 5-inch round 1.75x magnifier (U23020). Sold individually. 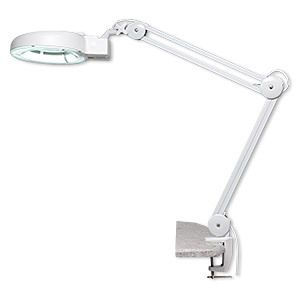 Lamp, plastic / glass / steel, white, 43 x 12 x 9 inches with 2-1/2 inch C-clamp mount and 5-inch 3x magnifying lens. Sold individually. 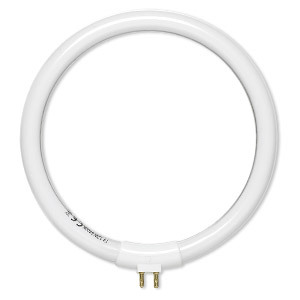 Replacement light bulb, glass, 5-1/4 inch 12-watt fluorescent round tube. Sold individually. 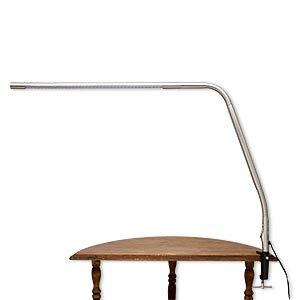 Lamp, Daylight, hyperbolic, steel / plastic / glass, white, 36x24 inches with 24x4-inch head, vise for table top mounting. Sold individually. Replacement light bulb, Daylight, glass, 18-watt tube. Sold individually.